You're About to Discover Your New Favorite Organic Loose Leaf Teas! Take the quiz! 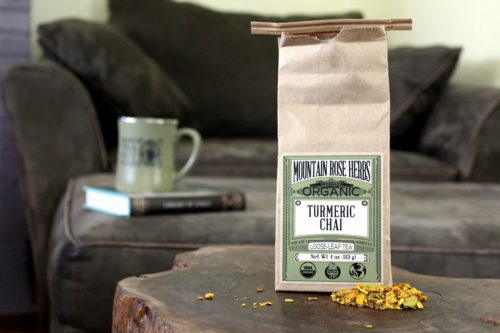 Whether you’re new to drinking loose leaf teas, or you’re a self described tea connoisseur, you’re going to love the natural, organic loose leaf teas from Mountain Rose Herbs. With a wide selection of every kind of organic loose leaf tea imaginable, it’s hard not to find a tea that you love. However, if you’re still on the hunt for that perfect tea that fits both your tastes AND your lifestyle, then you must take Mountain Rose Herbs new tea quiz to find your tea soulmate! I’ve been shopping with Mountain Rose Herbs for over a decade and I’ve never once been disappointed by the quality of their products. I first became a customer in what I like to call my “market days.” I would shop from their selection of organic ingredients that included unrefined butters, clays and carrier oils for my soapmaking recipes and skin care products that I sold on my local city market. Rarely, however, did I consider purchasing from their wide selection of organic loose leaf teas. What a mistake! After taking the new tea soulmate quiz from Mountain Rose Herbs, I found my new favorite tea! 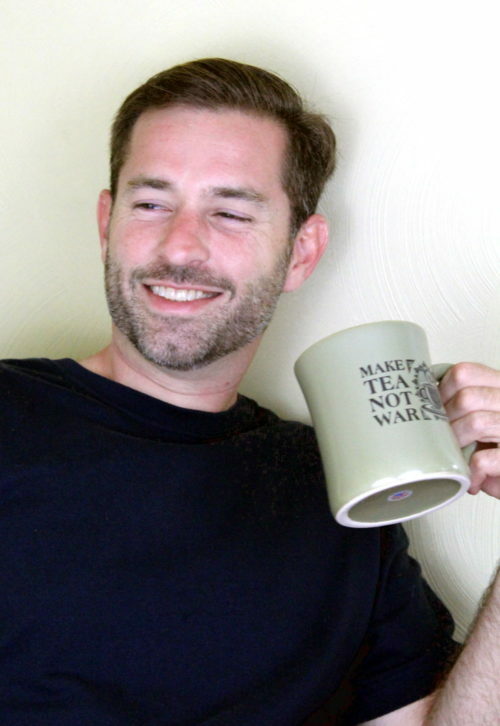 Take the tea soulmate quiz! Mountain Rose Herbs tea soulmate quiz asks questions based not just on your favorite flavors. It also asks where you enjoy drinking your tea most. How you like your teas? Who are you drinking that cup of tea with? And why do you reach for a cup of tea over another beverage? So whether you enjoy your tea hot or iced, with or without friends, in a valley of wildflowers or in an urban sanctuary, you’re sure to find the perfect tea to fit your lifestyle. With 32 different teas featured in their quiz, you’re not only going to discover your new favorite tea – but possibly several new favorites! Simply take the tea quiz more than once and change up your answers to find the perfect tea to fit your mood. My tea soulmate was turmeric chai. This spicy, warming herbal chai tea is caffeine free, making it the perfect tea for chai enthusiasts who have cut caffeine from their diets. Especially delightful as we start transitioning into cooler nights this fall, the turmeric in this organic tea, gives this brew an exotic, piquant flavor. It also highlights the other earthy spices found in this chai tea blend. I love the pinch of cayenne that gives this tea blend a spicy bite! And while this organic chai tea is delicious when brewed with water, it’s also delightful brewed with milk or your favorite milk substitute. Think of it as a flavorful twist on golden milk. What makes loose leaf teas special? If you’re new to loose leaf teas, then you probably don’t realize what you’ve been missing. Compared to tea bags, which commonly contain what is referred to as “tea dust,” loose leaf teas are like the caviar of teas. What really sets the teas from Mountain Rose Herbs apart, however, is their quality. Not only are their loose leaf teas made using organic tea leaves and herbs, you know you’re always receiving the freshest, pesticide free botanical tea blends. So you get all of the healthy benefits of drinking tea, without any of the things you DON’T want in your teas. How to brew loose leaf teas. So, just how do you blend that perfect cup of organic loose leaf tea? 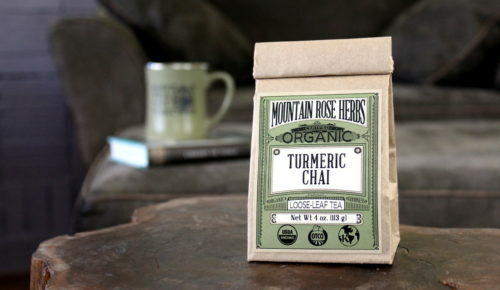 To brew Mountain Rose Herbs turmeric chai tea, heap one tablespoon into your preferred strainer. 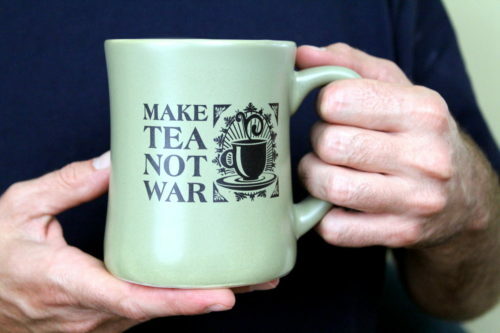 Then pour 8 ounces of boiling water over the tea. Steep for 3-5 minutes, or until desired strength. Then simply strain and enjoy. Or discover three more ways to enjoy your turmeric chai tea here. To learn how to brew your other favorite types of loose leaf teas, be sure to check out this guide to tea brewing. So, the only question left is, which tea is about to become your new favorite? 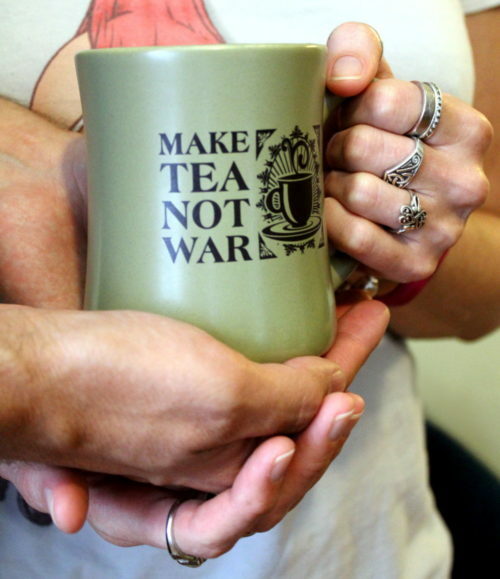 Find your tea soulmate now! To discover more about tea, including recipes and tea infused products, be sure to follow my Everything Tea board. You can also follow me on Pinterest, G+, Facebook, Twitter and Instagram. Alternately, you can subscribe to Soap Deli News via email for future updates, DIY projects and recipes.